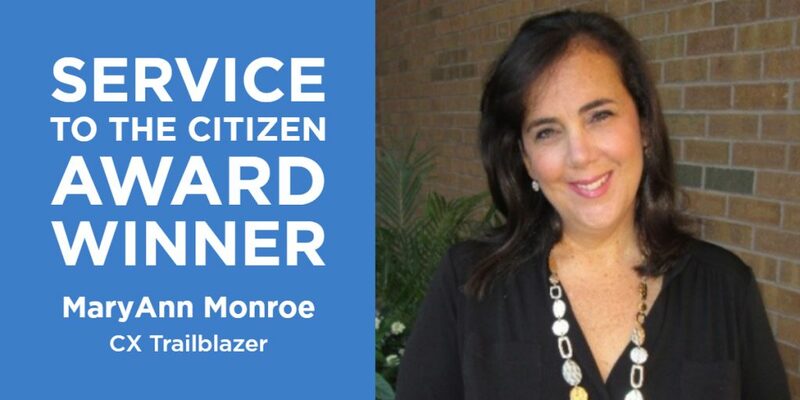 HighPoint Director of Customer Experience, MaryAnn Monroe, has been announced as a Service to the Citizen award winner in the category of CX Trailblazer. With a 26-year background in customer service and customer experience in the federal and private sectors, MaryAnn is developing a customer experience mindset for HighPoint’s clients and employees. She leads, designs and implements customer experience strategies to improve the overall customer experience and services delivered by HighPoint. She also helps our team plan and execute quality solutions that anticipate challenges and meet the needs of the government market. The goal of the Service to the Citizen Award Program is to recognize those public servants who demonstrate excellence in their delivery of services that impact the lives of the public. The 2019 Service to the Citizen Award winners will be honored at an event on May 2 at the Willard in Washington, DC.